It was a very foggy morning at Viera Wetlands in Florida. 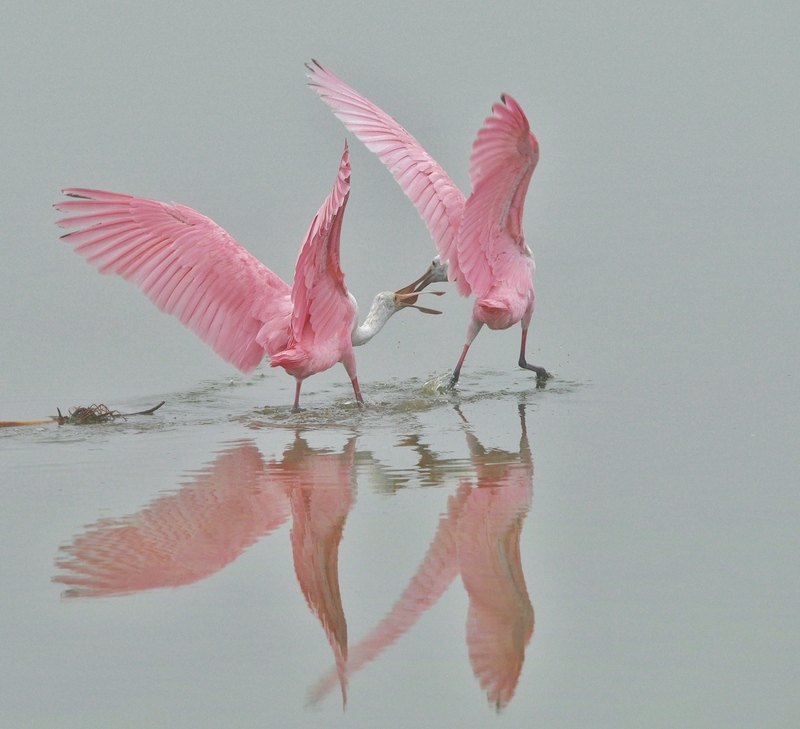 These Roseate Spoonbills were having a turf war…all over a stick that was lying in the water! Taken with a Nikon D5000, Sigma 150-500mm lens.